Earn $8.79 in Rewards credit. Click to learn more. 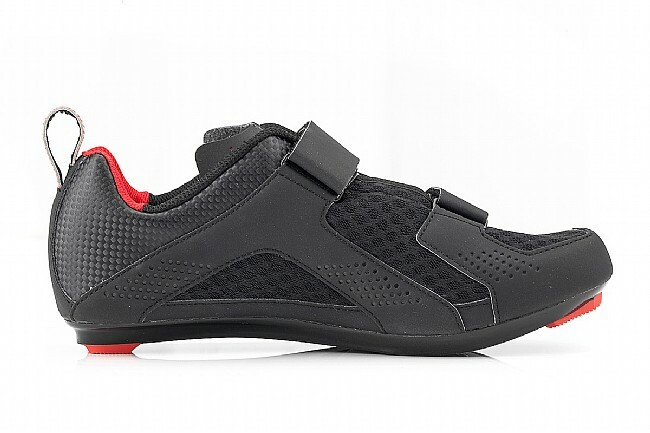 Whether the weather outside is frightful, or spinning is just a central part of your cardio routine, the Actifly's lightweight mesh-dominated upper keeps feet cool, the Actifly is purpose-built to keep your feet cool and comfortable. When you're hitting the trainer in front of the TV blasting out mile after mile without the benefit of the wind cooling you down, you quickly get soaked in sweat. 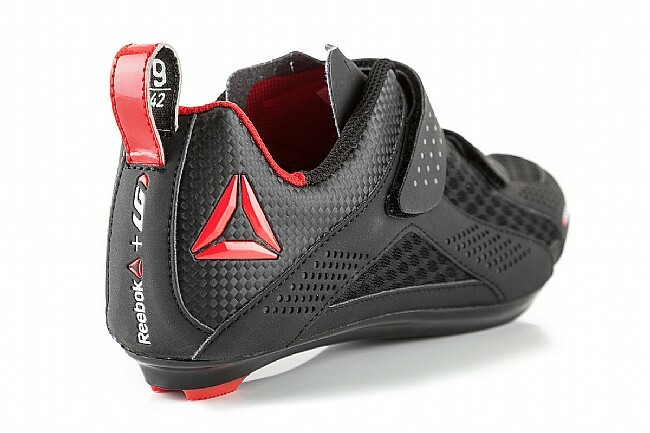 Luckily, the Actifly features a upper that's dominated by mesh ventilation panels, and features large intake vents in the bottom to keep air flowing through the shoe, cooling your feet while you work. 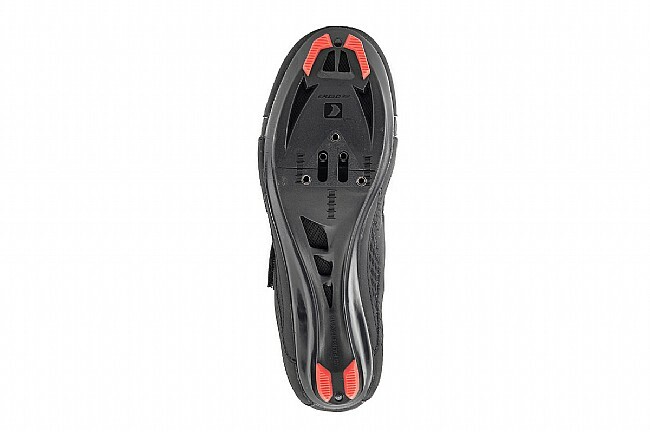 With dual hook-and-loop straps, the Actifly fits easily and comfortably, while the nylon-injected fiberglass outsole provides the optimal amount of torsional stiffness for efficient pedaling. 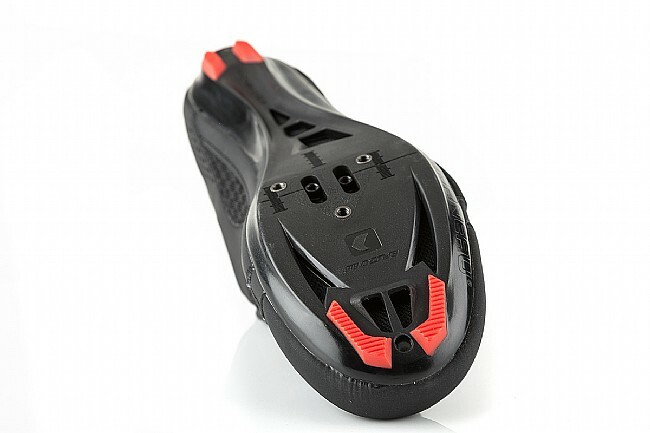 Inside the shoe, Louis Garneau utilized their most breathable insole, complemented by multiple generous intake vents in the outsole to take the comfort to the next level. 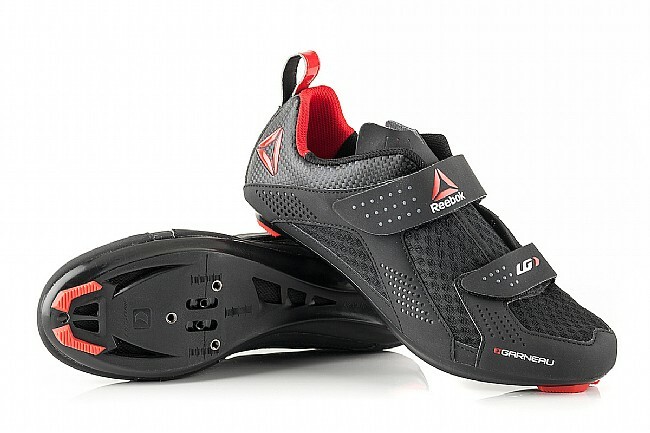 Because every indoor cycling setup is a little bit different, the Louis Garneau Men's Actifly Indoor Cycling Shoe includes a steel insert to make this shoe compatible with both 2- or 3-bolt cleats. 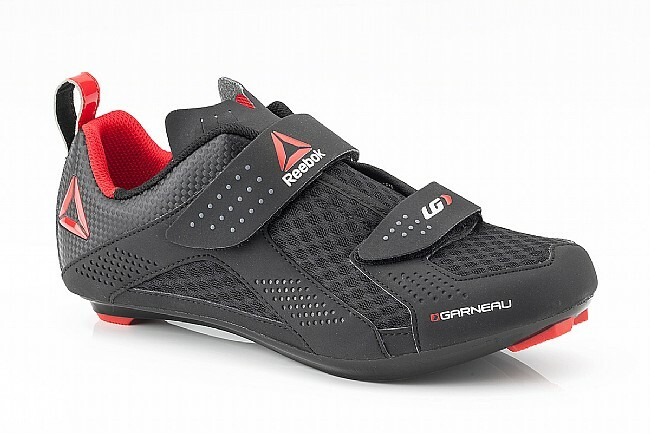 A less expensive option for a shoe you'll train in. Definitely not one you will wear to do really hard intervals however. It is very well vented and true to size if you pay attention to the size chart. I wear a 46 mostly but these are 47's and that's what the chart suggested.